All documents must be in place prior to shipment arrival. Without a residence visa or passport, shipments will not be cleared, nor will the shipping line release shipment. All import duties are changed at 5% of the value of the item. Do not send insurance or any other documents showing the true value of the goods with the shipment to avoid the payment of heavy customs duties. It takes approximately 4 - 7 work days for sea shipments, 3 - 5 days for air shipments. All sea shipments coming into Jebel Ali port are subject to approximately 5 - 7 days at port with free port storage and demurrage charges (depending on the shipping line). Shipments not cleared within 10 days from the arrival date at the port will not have a free port storage period granted and the shipment will attract port charges from the first day of arrival. Shipments that arrive before the weekend will automatically lose two days of Customs clearance and the shipment can become more susceptible to incurring port storage charges. Please note that Friday / Saturday is a weekend in Dubai and for Dubai Customs. Hence, no customs clearance and inspection can take place during these two days. Shipments are also susceptible to demurrage charges; however, they will only start incurring after the fifth day of shipment arrival. Original title / Copy of certificate of origin / registration card from origin country vehicle certificate must include detailed description, including engine number, year of production, color, etc. 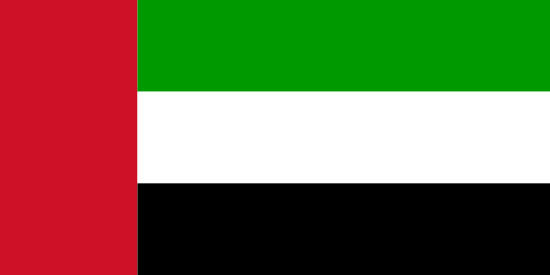 Owner of the goods must be in UAE at the time of shipment’s arrival and all documents must be in Customs possession prior to the arrival of the owner of the goods’ shipment. Duties of 5% are charged on all motor vehicles. Customs will issue vehicle clearance certificate in 2 - 3 days; this document is required for registration with the traffic department. Jebel Ali has tremendous port congestion, therefore, be aware of delays in clearing shipments, the time frame is approximately 1 - 2 weeks from the arrival date of shipment.